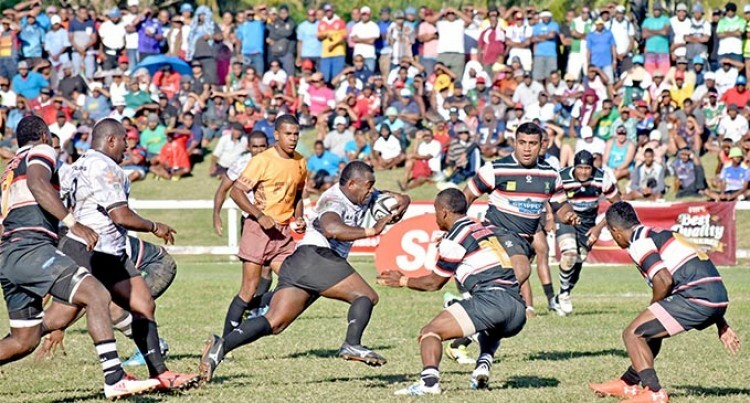 The Rupeni Nasiga-captained Nadroga side scored eight tries to three in the 52-19 thumping of Naitasiri in the semifinal of the Skipper Cup Premiership at Lawaqa Park, Sigatoka yesterday. What happened: The Stallions opened the floodgates in the 9th minute with a try to halfback Sikeli Gavidi. Six minutes later second five –eighth Mitieli Nacagilevu increased the Stallions tally to 10-0 with a try. In the 26th minute winger Sakeo Railoa cracked the Stallions defence to score under the posts which was converted by Peniasi Ratu 10-7. Five minutes later lock Vatiliai Matakaca picked the ball from the base of the scrum to score Naitasiri second try which was converted by Kini Douglas to lead for the first time 14-10. In the space of five minutes Nadroga ran in two tries to Gavidi for his second try and centre Ifereimi Tovilevu which was both converted by Jiuta Lutumailagi. In the 54th minute Sailosi Dawai and Livai Ikanikoda were sin-binned for dangerous play. In the space of three minutes, the Stallions score two tries to Josese Kurokavu who came off the bench and wing Aporosa Tabulawaki. Apisalome Waqatabu kicked the conversions to lead 31-14. Three minutes later Ikanikoda managed to score Naitasiri’s last try 31-14. In a space of four minutes Timoci Narube who came off the bench and Vasikali Mudu scored a try each which was converted by Waqatabu. Big Play: Gavidi, Waqatabu and Sailosi Raboniqica played key roles in the win. Star turn: Aporosa Tabulawaki played a man of the match performance.